Kodak Hall at Eastman Theatre 26 Gibbs St.
Online Ticket Sales Coming in August! Please contact Brooke Stewart at (585) 340-5715 or bstewart@heritagechristianservices.org with any questions. 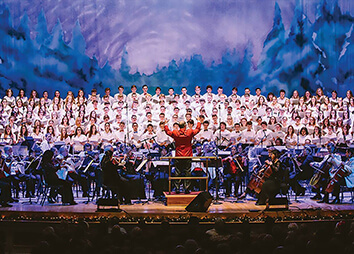 We are partners with Rochester Rotary to host a private Gala Holiday Pops Concert with the Rochester Philharmonic Orchestra.